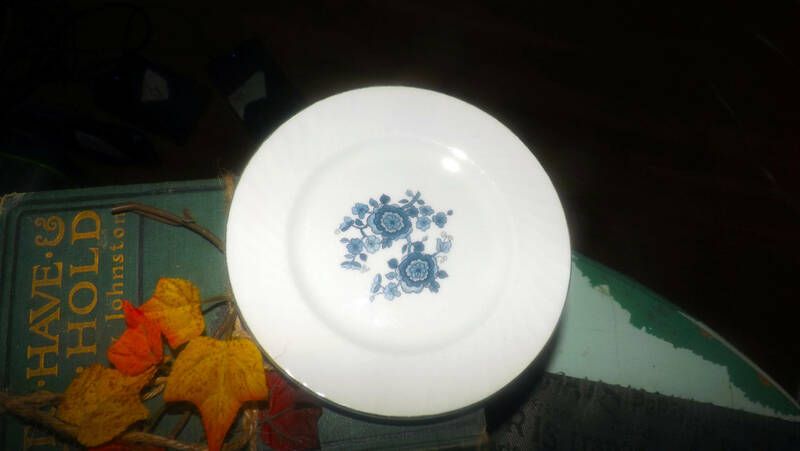 Late mid-century (1959) Wedgwood Royal Blue ironstone bread-and-butter, dessert, or side plate. Blue cornflowers, platinum edge. 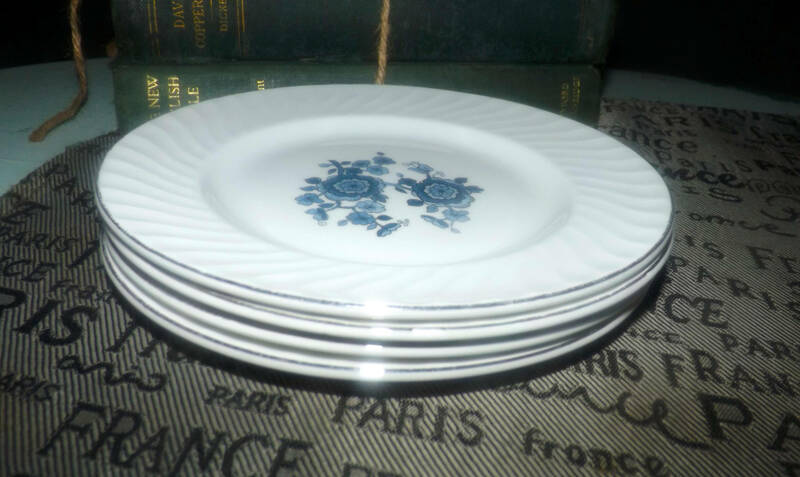 Late mid-century (1959) Wedgwood Royal Blue Ironstone bread-and-butter, dessert, or side plate. 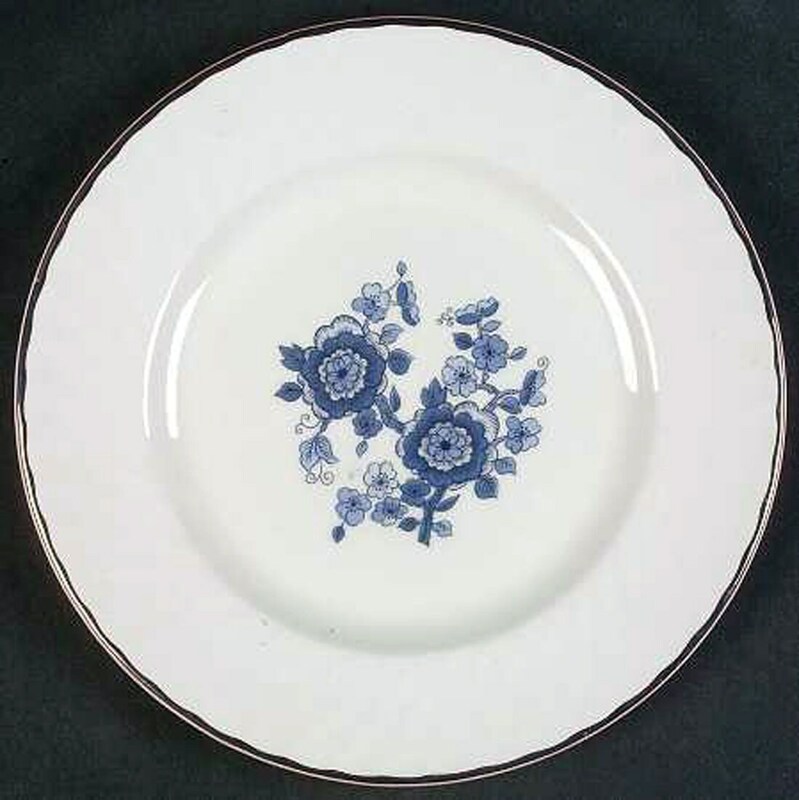 A classic Wedgwood pattern, Royal Blue ironstone features central blue cornflowers set onto a ground of pure white with a swirled verge and smooth, platinum edge. In EXCELLENT! condition with NO! chips, nicks, cracks, or fleabites, NO! crazing, LITTLE TO NO! loss to the smooth, platinum edge and NO! marks, stains, scratches or other signs of use or wear. The central blue cornflowers are bright and vivid with NO! fading apparent. 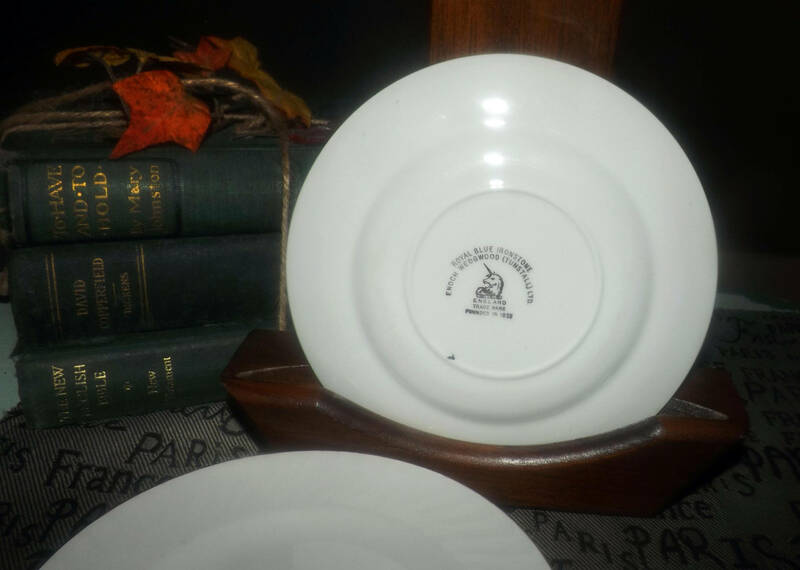 Approximate measurements: 6" in diameter (measured edge to edge) with a swirled verge and a smooth, platinum edge.